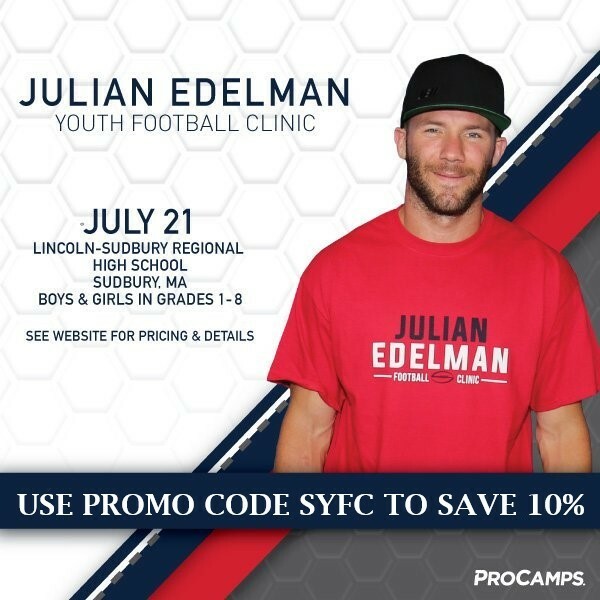 Throughout his one-day clinic, Julian Edelman and ProCamp coaches will offer tips and hands-on instruction, including lectures, fundamental football skills stations, contests, and non-contact games in a high-energy, fun, and positive environment. Participants will be placed in small groups by age to ensure that each child gets maximum instruction. The clinic will be staffed by some of the area's top high school and college coaches.